Published: Nov. 9, 2014 at 10:55 a.m. Updated: Nov. 9, 2014 at 12:43 p.m.
Dez Bryant wants to get paid like he's one of the top receivers in the NFL -- which he is. However, the Dallas Cowboys are worried about handing Bryant a boatload of guaranteed money. 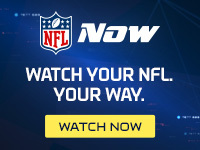 NFL Media Insider Ian Rapoport reported Sunday on NFL GameDay Morning that the Cowboys' apprehension stems from several off-field incidents that could indicate a larger issue on the horizon. "I went to the DeSoto (Texas) City Police Department. I found six instances of police coming to Dez Bryant's house -- that's where he lives, in DeSoto. Among the incidents -- and none of these were convictions -- there was a harassment incident, there was a robbery at his house, the fire department had to come and unlock his car that had a sleeping baby inside. All of these things give the Cowboys cause for concern. He's had anger management; they have a manager with him at all times. But they are very nervous, and this is one reason they have not wanted to give him the guaranteed money that most elite receivers get." Bryant recently said he would be willing to talk about a contract extension during the season. However, Rapoport pointed out the last numbers the Cowboys discussed with the receiver didn't have heavy guarantees. "Well, Dez Bryant just changed agents, so talks may start off," Rapoport said. "This was their best offer to Dez Bryant: 10 years, $114 million. Sounds pretty good. Well, I am told only $20 million of that was guaranteed, only $5 million signing bonus, and over the first six years, he would make $10 million (per year) -- not the salary of an elite receiver." With the team holding all the leverage in the form of the franchise tag and the Cowboys' concerns with him off the playing field, we wouldn't expect this deal to get done anytime soon.